George Hinchcliffe, of John Berrysford Close, Chaddesden, also attended a number of parties and gatherings where under 16s had been present. But between 2017 and last year he had been at a number of functions where children were present. 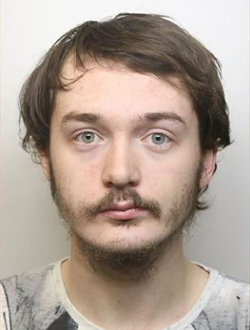 Sending Hinchcliffe to a young offender’s institution for 22 months, Judge Jonathan Bennett said: “This order is there to protect young children, particularly young girls. “You had become involved with people and had attended various functions including parties. “On some occasions you had stayed over at a house where children were present. “And then, in September this year, it was discovered that you had been babysitting a child. “You should have told these people about your order but instead you said, ‘I have got into a real mess here because I have been embarrassed to tell them about this’. Miss King said: “He did not disclose to them his convictions and stayed over at an address on more than one occasion. “He also went to a number of celebrations and parties where under 16s were present. “There were instances where they would jump on and play with the defendant. She said his mobile phone was analysed on it were text messages indicating he had been in the company of children and he was charged.